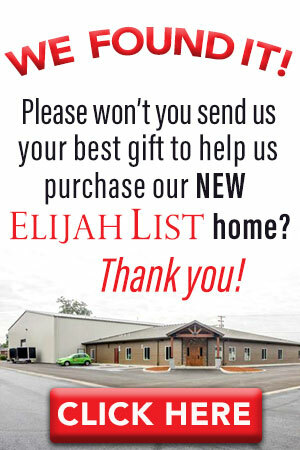 Elijah Streams: Jake Hamilton: "This Generation Needs You to Be Authentic!" Jake Hamilton: "This Generation Needs You to Be Authentic!" I was really impressed with the very seasoned revelation which came from Jake Hamilton during our interview with him at the Compassion to Action event in Portland, OR. Jake was as real and authentic as it gets, and believe me, what he shared will minister and touch you deeply. There is a facade out there that we can't be vulnerable and our authentic selves because people will see the real us and be disappointed! Contrary to that belief, that couldn't be farther from the truth! People need to see and value the real, raw, authentic side of us. How you are the answer to every generational curse that has been on your family, and carry the authority to course-correct your entire generational line. "Authenticity" is the greatest value this generation has... they say, "Just be real with me and just tell me the truth." How to give your pain purpose. People need to know from you that it's okay to hurt and they're not alone. 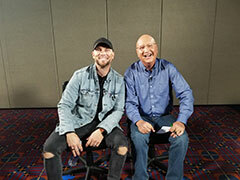 Enjoy Jake Hamilton's interview and get ready to soar with the heart of God to be authentic in a generation crying out for it. 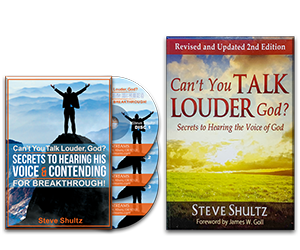 Call NOW to order Steve Shultz's book and THREE-CD set called, "Can't You Talk Louder, God? Secrets to Hearing His Voice and Contending for Breakthrough!" "How Good Do I Have to Be to Hear God's Voice?" "How Bad Do I Have to Be for God to Stop Talking to Me?" "God's Voice-What Does It Actually Sound Like?" Glean from Steve's own experience of trying to "get God to speak to him." Discover how you can tune-in-to what God has to say personally to you! Learn what you must do to enjoy physical and spiritual healing. In this victorious offer, Steve Shultz shares how YOU can successfully contend with God, and enjoy a closer relationship with Him... and Discover the Freedom you've longed for. 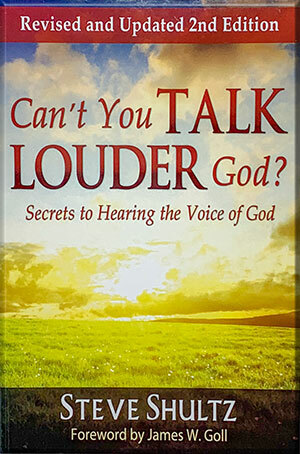 You won't want to miss out on Steve Shultz's revised and updated book called, "CAN'T YOU TALK LOUDER, GOD? Secrets to hearing the Voice of God" and THREE-CD set to help you Contend for Your Breakthrough-made exclusively just for you—our Elijah Streams viewer. Take Home These Prophetic Resources!